After the Belgian synth pop group EXTRABALLE disbanded, MARK ICKX joined up with CHRISMAR CHAYELL to form A SPLIT-SECOND, which debuted in 1986 with the dance single «Flesh». The duo quickly took a detour into more industrial sounds with their next single, «Rigor Mortis»; both those tracks and others were compiled on their eponymous debut American EP, which followed their first Belgian album, 1987's «Ballistic Statues», by a year. 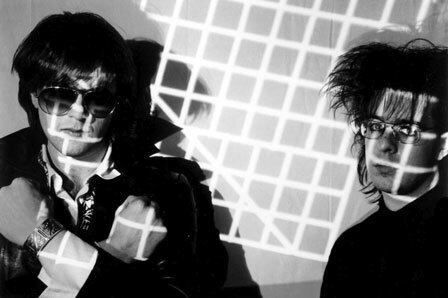 A SPLIT-SECOND's sound had by now coalesced into a mix of programmed industrial beats, synthesizers, heavily distorted guitars, and alternately melodic and vicious vocals; unsurprisingly, they were signed in America to the Wax Trax! label, which issued «From the Inside» in 1988. A number of singles and EPs followed on both Wax Trax! and the Belgian Antler-Subway label, some later taken from the 1990 album «Kiss of Fury», which found the group switching to Caroline for U.S. distribution. Little new material was heard from A SPLIT-SECOND until 1995, when the duo returned with «Vengeance C.O.D.». — Steve Huey.